A year and a bit ago, I was privileged to experience a performance of composer/trumpeter Ellen Kirkwood‘s four-part suite [A]part at the Io Myer’s Theatre at UNSW, performed by an augmented Sirens Big Band plus special guests. Through an aligning of the planets and more prosaic factors, Kirkwood and the Sirens have been able to record the hour-long work and release it for our ears and minds. And what an exquisite recording it is. Everything that I loved about the performance has been captured beautifully by Bob Scott and the team at Studios 301, allowing the dynamics to be fully experienced, and all the nuance and surprise in Kirkwood’s writing to be set in high aural relief. The (very) special guests are, once again pianist Andrea Keller, vocalist Gian Slater and long-time Sirens mentor, saxophonist Sandy Evans. [A]part is expansive also in its use of genre – there are tastes and flavours of jazz, Afro-Cuban, rock and contemporary classical music; Kirkwood has taken what she needs to express what she wants to say. ‘Part 1 – The internet: wonder and malignance’ deals with the gift of the internet but also with its broken promise. A swooshing of Alon Ilsar‘s air-sticks and we are off on a magic carpet ride over the magic kingdom of the internet – the horns beat and pulse like wings as we fly. But as we move on, they become disjointed and more demented and we begin feel that all is not as magic about this gifted kingdom. The piece ends – as all four sections of [A]part do – with a meditative horn chorale, quiet and almost sad in its hymn-like introversion. Yet there is a hint of hope in its human-scale beauty. ‘Part 2’ is on the theme of the refugee crisis, that thorn in the side of our government, and a tragedy for all involved. The ‘otherness’ of refugees is expressed through a Latin groove with Slater’s vocalise floating ethereally over the top. We float on an ocean without end. Keller’s piano solo builds in intensity into the band strutting a militaristic march. Evans’ horn solo is wracked with grief and true pain until all dies down to the bittersweet chorale coda. ‘Greed and climate change’ is the title of ‘Part 3’, reminding us that the latter pretty much exists, in many ways, because of the former. The percussive opening reminds one of the natural world of growth. This morphs into a drum solo which morphs into an incredibly surreal and cartoonish waltz. This is ‘Greed’. The traditional big band writing is superb but drips with sarcasm at we humans endless hunger for more more more. This sarcasm is accentuated by Evan’s hilarious solo which encompasses wrong-key harmonica blasts, bird whistles and belching frog calls along side her jokey sax. ‘Part 4’ is set aside for contemplation. Kirkwood says of this section: “How to process it all? The constant barrage of information, bad news, opinions and quarrelling. And what can we do about it as insignificant individuals? 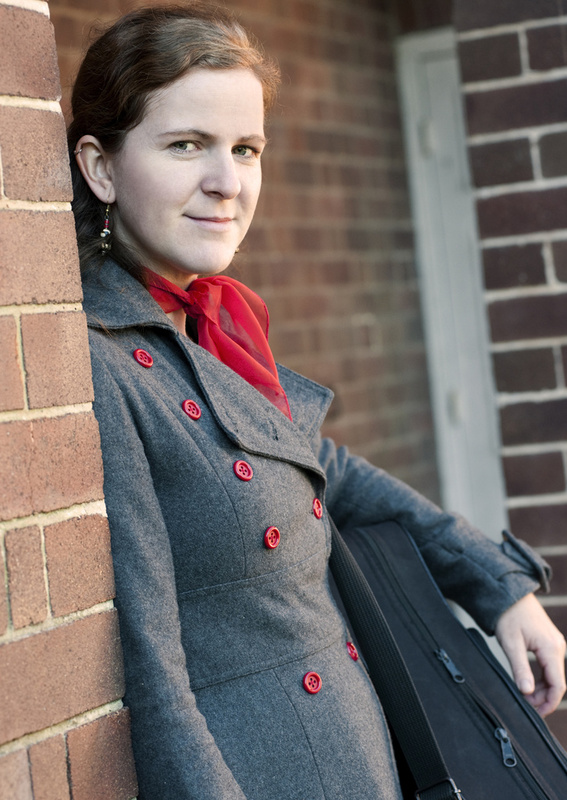 Angst, loss, reflection, determination, rebellion, longing, and maybe a bit of hope.” Jessica Dunn‘s opening bass solo over hazy flute chords sets up the feeling of meditation. A sparkling Keller solo brings in a Kirkwood solo which speaks to us. The hymn at the end of this one is particularly poignant. After spending some time with this exquisite recording of a work that is as close to a masterpiece as anything I have heard in a while, I second those emotions. The [A]part experience is something rare, very timely and very real. Sirens Big band perform [A]part at Foundry 616, Ultimo on Tuesday 13 November. 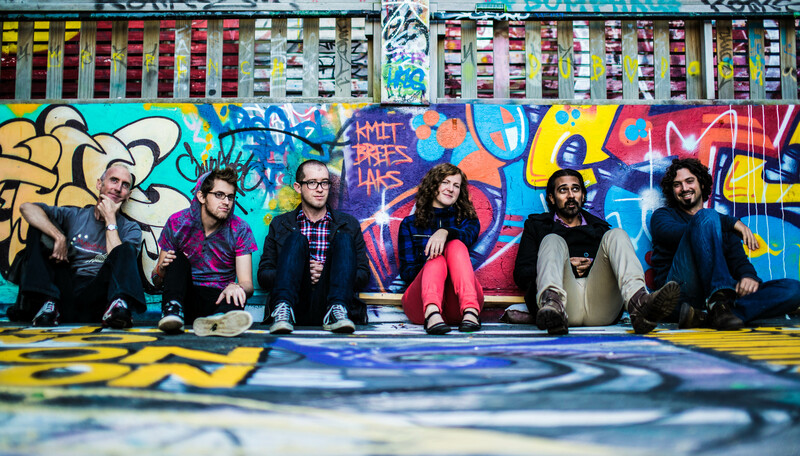 Kirkwood’s small group – the whimsically named Captain Kirkwood – is a whole other trip from the Sirens. But the much reduced format doesn’t reduce Kirkwood’s smart ideas and great sense of tonal colour one iota. 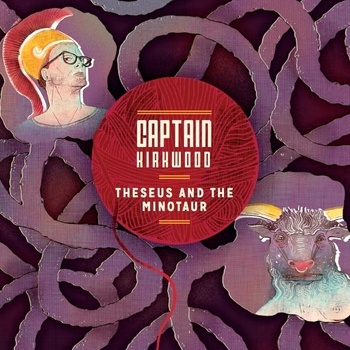 In fact, on the band’s debut, Theseus and the Minotaur, Kirkwood has taken on a hell of an idea: the Greek legend of Theseus and his battle to the death with King Minos’ monstrous cannibal creature, the Minotaur. The band tell the story over five linked pieces, with narration by Ketan Joshi. It could easily be a train wreck – very few of these jazz-prose things really fit right – but on this one it all works beautifully. The balance between the music and Joshi’s measured narration never tips, the music following and enhancing the narrative path, now and again moving to the forefront to feature the ensemble or some brilliant and considered soloing. Multi-instrumentalist Paul Cutlan stands out, playing bass clarinet, tenor and Eb clarinet across the tracks. His howling, gnashing bass clarinet evocation of the Minotaur’s roars reminds us why Cutlan is one of our most respected musicians: he somehow manages to, among the terrifying animal sounds, suggest the anguish that the poor creature suffers, being not man and yet not beast. The Minotaur’s lonely pain is also touched on in the sharply written text adaptation (by Kirkwood together with Oliver Downes), widening the psychological scope of the good-vs-evil aspect of the legend. Kirkwood’s band writing is subtle and deceptively tricky – all to convey the moods and settings of the story. Her band – the traditional jazz two-horns-plus-rhythm combo – is up to anything she throws at them. There are some truly exceptional moments: the dread conveyed when Theseus enters the Minotaurs labyrinth using just Tom Botting’s scraped bowed bass and drummer Alon Ilsar’s ominous toms; the ragged, angular dance that suggests Theseus and the beast circling each other before their final battle; the use of kalimba suggesting sparkling sea. As well as the five-track legend suite, the band also works through three tasty Kirkwood originals with Cutlan playing Eric Dolphy to the leader’s Miles-inspired trumpet (her tone on the ballad ‘Dharamsala’ is particularly luminous). Pianist Glenn Doig through the suite and the three band pieces once again proves he is one to watch. Prior to publishing this review, I asked Ellen Kirkwood a handful of questions. Here are her responses. 1. The most obvious first – why did you pick the legend of Theseus and the Minotaur for your debut release? This decision was mostly about practicality and a setting that I thought I could write well for. As for exactly why I wanted to write a “music story” in the first place – that’ll become clear when I answer your other questions later. Basically after I’d decided to write a music story, I then had to find a story that would suit. I looked at a lot of short stories, and asked friends to recommend some. Some people suggested I do a musical setting for poetry, but I mostly found that too abstract for what I wanted. I wanted it to be a story, and my narrator to be a storyteller. Short stories that I read, or that people suggested to me, had a lot of dialogue, or plots that branched out in a few different directions. Looking at these texts helped me tease out what I DIDN’T want, and let me to decide that what I needed was something with a fairly simple and straightforward plot, but with an interesting setting and strong characters that I could express through the music I’d write. I didn’t want a story that was too detailed or complex because I wanted the music to be the focus, and also because I didn’t want to make what was already going to be a big challenge even more difficult. When I started looking at myths and legends I seemed to be getting closer to the mark. I had studied Ancient History for my HSC so was already familiar with Theseus and the Minotaur. The thing that most appealed to me about the story of Theseus was the fantastical setting, particularly the labyrinth. I pretty quickly got excited about the possibilities of writing and improvising music to describe the labyrinth and Theseus’ journey through it. The other good thing about this story is there are so many versions of it out there, so I knew I could tweak it to make it work for me. 2. What was it about writing a themed cycle of pieces that appealed to you, rather than a selection of unconnected tunes? I really love composing. When I got the news that I had been nominated for the Jann Rutherford Memorial Award, and that I had to submit a recording and a proposal, after the initial freak out (“I don’t have a band! All the stuff I’ve written lately has been for big band and Sirens is too big to use for the award!” “I have a month to get a group together and record… what?”) I decided that, if I won the award, I wanted to do something extra challenging to make the most of it. I knew I had the ability to write enough original tunes to record an album with my own band, but I wanted to do something different with the opportunity. I guess I also wanted to do something to set me apart from the other shortlisted people (I still have no idea who they were, top secret!) too. And to be (extra) honest, maybe there was also an element of self-doubt there – lots of people out there writing and recording albums full of standalone tracks of their amazing original music – would a similar thing of my own stand out amongst those? Probably not, I thought. Do something a bit different! And then I won the award! Clearly they liked my idea! 3. Was it more difficult to write like this – the symphonic challenge of individual pieces that work in a larger framework? Yeah, it was pretty difficult, altogether. I didn’t find it too hard to come up with the raw material to begin with, but it was actually piecing the finer details together to fit with the story which was the hardest. The biggest mistake I made was not getting the text to be exactly what I wanted before I wrote the music. Instead, I basically wrote a summary of the story, which I then wrote the music to, thinking of it more as a general setting for the story, rather than music that followed the narrative closely. The more I wrote, though, the more tied in to specific events in the story it became. So then when I got Oli to help me fine-tune the text itself, I found that all the editing we did to make it better, including some changes in the sequence of events and the shortening of some sections, would mean I had to edit the music more than I had expected. This caused me to then have to re-think some parts of the music to see if I could fit things into different places, and reconsider if the mood of what I had still suited the changes in the text. Next time I do this something like this (and I hope to!) I’ll definitely make sure the text is exactly what I want before I write the music – after all, I’m a musician and composer, not an author. I also had the help of the band members in making a lot of decisions about the performance of Theseus. As you can probably imagine, it took a lot of time to get it all together and fine tune it, and I purposefully left some decisions up to the guys in the band, because they all have great, creative minds and I wanted them to have some ownership over it as well. 4. What do you think about when you compose? ”How can I make this as complicated as possible?” Nah, just kidding (mostly). Tricky question. It can take me a while to get around to sitting at my computer and writing (that’s mostly how I do it) but usually once I’m there I’m pretty immersed in it. Or, alternatively, I can get pretty stumped and pissed off sometimes. When I wrote Theseus there was obviously a particular context for the music I was writing, so my thoughts, at least when starting off, revolved around what I could write that would sound like it fit with stuff like the mood, characters, setting and action. Some of what was in Theseus was already written in older pieces I’ve done. Occasionally I also just do some free improvising when I practice and record it on my computer. I’ve come up with a few cool riffs that way, and then harmonised them and maybe put a melody over the top. A few of the patterns in Theseus came from those little recordings. Theseus is sort of an exception though. I don’t usually have such a clear aim when I’m writing pieces. I mean, I think about the music itself when I’m composing, of course, but I rarely sit down and compose something that’s about my life. I don’t think I’ve written a song about a breakup, for instance, or about a specific person or occurrence, although I’m sure my general mood and what’s happening in my life sort of gets tangled up in there somewhere. No, usually it starts with me hearing stuff I really like and wanting to adapt one or more of those ideas into something new of my own. Or something pops into my mind that I get carried away with – the bassline of ”Tomorrow I’ll Know” is a good example of that. It came into my head as I was waking up from a nap one day, so I wrote it down and combined some other concepts that I’d heard and liked when writing the melodies, groove and structure. Once I’ve started and I’m into what I’ve got, it sort of takes off…usually. And yes, I do also have a tendency to make things a little weird and complicated. I like odd time signatures and unconventional chord changes. And grooves, especially wonky ones. And I have this thing where I sort of fear using lots of major chords because I’m afraid of writing stuff that’s too cheesy, even though I know some amazing and beautiful music that’s mostly major and not cheesy. I’m trying to get over that. 5. I see Jeff Wayne gets a ‘thank you’ credit. His 70s ‘War of The Worlds’ top ten blockbuster seems a few lightyears away from your impressionistic writing. Or is the influence closer than we think? Hehe, including him in the “thank yous” was my little joke, and a reference I hope some nerdy people pick up (yes John, I called you a nerd. It’s a compliment!). Maybe I should also have thanked Prokofiev, for “Peter and the Wolf”! But War of the Worlds definitely influenced Theseus, at least in the initial spark of an idea. As I said earlier, when I received word that I was shortlisted for the Jann Rutherford Memorial Award, I decided that I wanted to do something a bit epic and challenging with it if I got it. At the time, I had been listening to War of the Worlds (years after having heard it as a kid and being a bit freaked out, yet fascinated) and absolutely loving it. So that was where the idea of writing music to go with a story came from. I thought that jazz would suit this purpose extra well, because of the role improvisation can play in the telling of stories, too. But you’re right, my music is pretty different to Jeff’s! 6. And finally, what are your thoughts on the current state of jazz in particular, and music in general? Whoah. What a question. I reckon you probably don’t mean “in the whole entire world”…I HOPE you don’t mean “in the whole entire world”, because that’s a hell of a lot of music. So I’ll go with Australia. But mainly Sydney. Umm, jazz. Jazz is getting blurrier, and I like that. I mean, it was already pretty blurry, and the definition of jazz (is there even one?) is really broad and everyone has a different opinion of where music starts and stops being jazz. What I mean by the blurriness of jazz is all the different things that are being mixed with it, the different instrumentations and technologies people are putting into it, unconventional structures in the music, bands taking their sound to different venues that don’t necessarily identify as “jazz” venues… that sort of thing. And other styles are borrowing from jazz. There are some people who would say a lot of it isn’t jazz anymore – it’s gone too far from tradition, but I think that’s fine. Even if it’s not jazz anymore, it’s still great great music that borrows from jazz, but might not have a name to clearly identify it. It’s all music and it’s difficult, even annoying, to define. Unfortunately people ask “so what sort of music does that band play?” “Well, it’s sort of world (I don’t like that term, all music is from the world, but the meaning that people have given to that word makes it convenient) music, mostly African type stuff, mixed with jazz but there’s some rock and funk and…oh just listen to this [dodgy recording of a rehearsal/youtube video someone posted last gig they did/new album of theirs I just bought].” That happens to me a lot. It also says a lot about the bands I go and see, and listen to, and play with. So I feel like, even though over the last couple of years my “music bubble” has gotten a lot bigger than the mostly “jazz bubble” it used to be, but of course there’s still TONNES of other music out there, in Australia and the world, that is amazing and inventive and groovy and beautiful. I know I’ll discover some of it, but it’s impossible to hear everything. The music that’s around me is alive and well, and constantly changing, and it’s great.